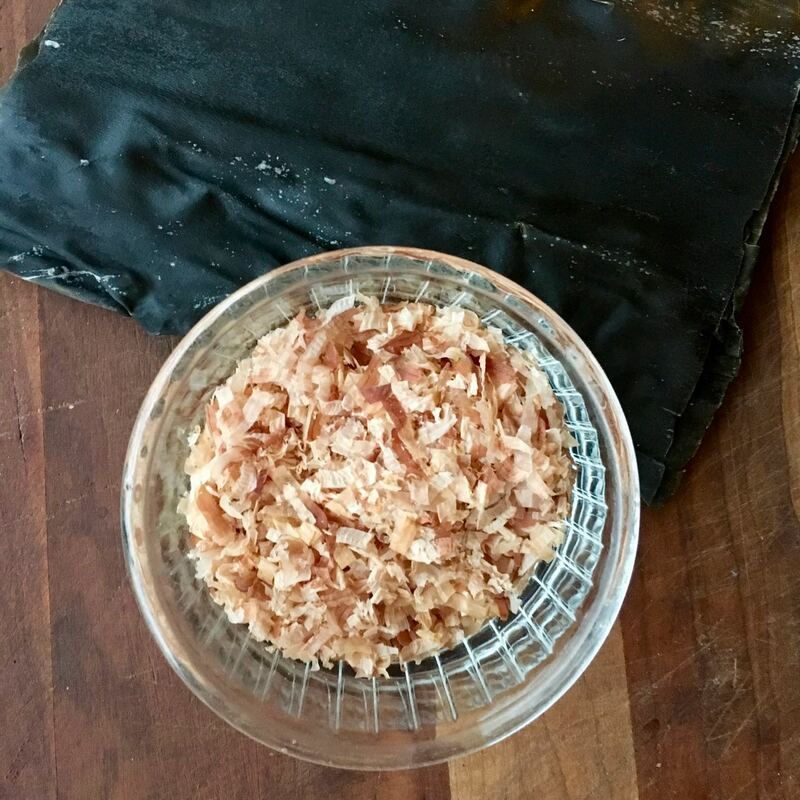 This essential Japanese recipe comes almost directly from our friend Nancy Singleton Hachisu’s book Japanese Farm Food, a great source of inspiration for our way of cooking and eating, and therefore our Japanese Home Food class! Dashi is a vital piece of all Japanese cooking, and provides delicious salinity without the sledgehammer of soy sauce. Regarding konbu size, most konbu is harvested as long seaweed noodles, 4-5″ wide, and the best comes folded and dried in long pieces. For a taste approximation without the time, consider Kayanoya’s sachets, which makes dashi as easily as making tea. 1. Place konbu in a small saucepan containing 2 cups of water, and bring to almost a boil, turning off and removing the konbu when you see tiny bubbles developing on its surface. 2. Add katsuoboshi and simmer, without boiling, for 8 minutes. 3. Remove from heat, and let stand for 8 minutes. Strain thoroughly, and use within a few days!